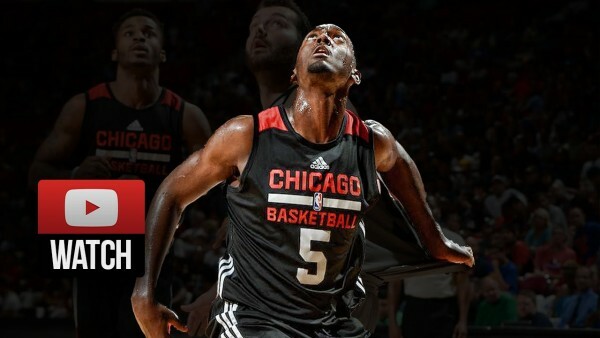 As the Summer League in Las Vegas gets closer and closer towards its finale, it’s clear to some that Bobby Portis of the Chicago Bulls might have been the best rookie on display or at least one of the most impressive of the bunch, while T.J. Warren of the Phoenix Suns and Kyle Anderson of the San Antonio Spurs carry on with their impressive displays. Portis scored 25 points for the Bulls and grabbed 15 rebounds in the 91-84 loss to the Suns. Doug McDermott, who has also been having a good Summer League, wasn’t playing, and the Bulls didn’t seem too worried about picking up this July win. Warren scored 31 points for the Suns and Archie Goodwin, as always, helped out with 20 points. The entertaining game of the day was between the Spurs and the Boston Celtics. The Spurs won with a Shannon Scott runner to make it 95-93 in the finale. Kyle Anderson kept leading the Summer Leaguers with 21 points in 23 minutes, hoping it leads to more minutes in the regular season. The Celtics were led by R.J. Hunter with 22 points. Terry Rozier scored just 6 points in a disappointing performance. The Atlanta Hawks beat the Dallas Mavericks 91-83, led by Glenn Robinson III with 23 points off the bench. Brandon Ashley had a very good game off the bench as well with 16 points. For the Mavericks it was another strong performance for Justin Anderson, scoring 23 points. Dwight Powell added 17 points, and Jordan Crawford scored 17 as well. The New Orleans Pelicans beat the Golden State Warriors 100-91 as Seth Curry led the way with 24 points, followed by Victor Rudd scoring 22. Dominique Sutton led the Warriors with 22 points.